Back in 1929, San Antonio Public Service Co. (SAPSCo) hired 19-year old Jay Hanna Dean as a helper in the underground electric service unit. Dean became part of a crew dedicated to revamping electric service in the downtown area. But Dean wasn’t hired for his electric intellect or his on-the-job skills. Back in the 1920s and 1930s, in the days of Babe Ruth and the Black Sox scandal, semi-pro baseball also was big-time sport. Dean’s craft was hurling fastballs. He played at Fort Sam Houston and became better known as “Dizzy” before he was discharged from the Army in 1929. A friend believed Dizzy Dean had big-league potential. SAPSCo’s Public Service Utilities team – amateur baseball champs in San Antonio the year before – would be the next logical step to showcase the pitcher’s skills. In an exhibition, Dizzy struck out the Utilities’ three best hitters. Before long, he was on the company payroll and later on the pitching mound for the Utilities team. Dizzy pitched in half of the Utilities’ 46 games in 1929. A scout with the St. Louis Cardinals saw him on the mound just one inning before he tried to sign him. But the Utilities team insisted Dizzy play out his amateur contract and finish the season. Three months later, he ended his short career in the utility industry after receiving a $350-a-month contract to play ball for the Cardinals. Dean also hurled one liners calling games for both St. Louis teams. Dizzy spent two seasons in the minor leagues before becoming a dominant Major League pitcher. Between 1932 and 1936, he led the league in wins (twice), shutouts (twice), complete games (three times) and strikeouts (four times). His 30 wins helped the Cardinals win the World Series in 1934. Four years later, he won a pennant with the Chicago Cubs. “When ole Diz was out there pitching it was more than just another ball game. It was a regular three-ring circus and everybody was wide awake and enjoying being alive,” said Pepper Martin, a teammate of Dean’s with the 1934 Cardinals. Dizzy was as famous for his one-liners as he was for his right arm. “The doctors x-rayed my head and found nothing,” he once quipped. 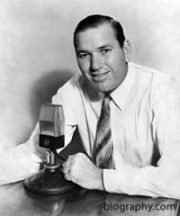 Dizzy left the game in 1941, but it wasn’t long before he took his colorful but brash disposition to the radio to call home games for the Cardinals and the American League’s St. Louis Browns. Another another World Series is underway. America’s pastime and SAPSCo have changed a lot over the last 80 years. Today, CPS Energy can be proud to call one of its own a Hall of Famer and a baseball legend. Wow,i never knew this,thanks for sharing!